MEPs went all political this week, with debates in Strasbourg zooming in on the rule of law and tax evasion. We’ve heard indignation, anger, condemnation and calls for action but only time will tell how much of this will translate into tangible results. If there is time to put it in practice before the end of this Commission’s mandate, it will round off a series of other anti-fraud steps already taken – from laying down tougher rules for financial intermediaries who make tax abuse possible to setting up the EU prosecutor’s office. Although it did take two major leaks to set the wheels in motion, the outgoing Commission can rightly say it had done more than any of its predecessors. Even if it got off to a shaky start, with the Lux Leaks exposing the shady tax practices of Juncker’s own country. Speaking of which, journalism remains a dangerous line of work, even in the EU, a continent so ostensibly away from battlefields or gang wars. A two-hour debate in Strasbourg was dedicated to Malta and the murder of investigative journalist Daphne Caruana Galizia, who relentlessly tried to expose all the shortcomings of the island’s legal system. To make sure Daphne’s work will not be forgotten, Parliament adopted a resolution asking the Commission to “start a dialogue with the Maltese government on the functioning of the rule of law in Malta”. The Commission has also been tasked with verifying if Malta complies with anti-money laundering rules and bank regulations. A process not dissimilar, though far less formal, from the monitoring of Bulgaria and Romania’s justice systems and fight against corruption, which is now in its eleventh year and counting. Some deputies said that many of Malta’s problems were down to the EU’s inability to effectively tackle tax competition, tax evasion and money laundering. Others still said the problems of the tiny Mediterranean island were just a red herring, a distraction from the real problems, such as Hungary or Poland, which have openly disregarded and defied Brussels. On Poland, MEPs agreed that the situation represented a “clear risk of a serious breach” of the rule of law. Parliament decided by 438 votes to 152 (and 71 abstentions) to prepare a formal request for the Council to start the ‘nuclear option’, or the Article 7 of the EU Treaty. It is only the second time that it has taken formal steps to trigger Article 7 – the first was about Hungary in May (and the process is still underway). Hungary has already indicated it would veto attempts to impose sanctions against Poland. The only workaround, if the Council is serious about Poland, is to impose sanctions on Hungary first and make it ineligible to vote. But even that would be difficult because Viktor Orban can count on Poland to come to his rescue in the Council. Perhaps the ‘nuclear option’ has too many safety catches. 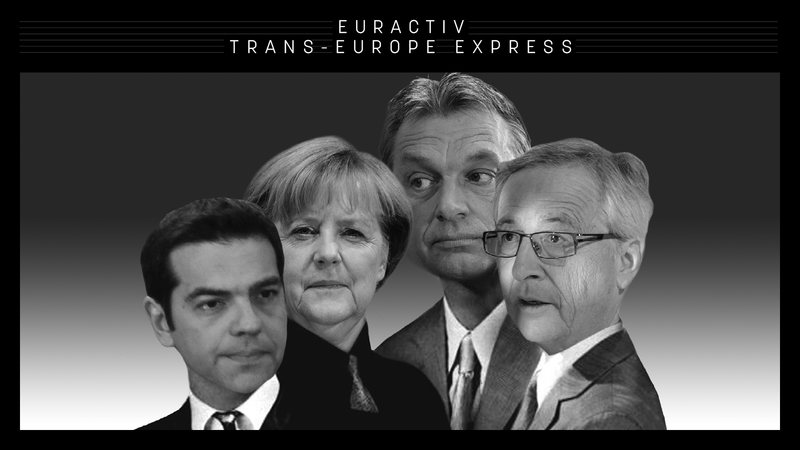 This week’s edition of Trans-Europe Express is supported by the European Parliament. No ‘Polexit’. “Poland belongs to the EU and the EU belongs to Poland,” Polish PM Beata Szydlo affirmed as the bloc considers launching an unprecedented infringement procedure against Warsaw over the rule of law. European aspirations backed. The Eastern Partnership will uphold the offer of tightening EU-Georgia relations, foreign ministers of Poland and Sweden assured in a pre-summit visit in Tbilisi this week. Greek refugee situation. A year on from the EU-Turkey agreement, the European distribution mechanism does not work due to the lack of receptiveness of many member states, MEP Barbara Lochbihler told EURACTIV Germany. Election lookout. Spanish PM Mariano Rajoy expressed hopes that his party will defeat Catalan separatists in next month’s snap election while the region remains deeply divided over independence. Cautious praise and criticism. Bulgaria and Romania have made some progress in implementing judicial reforms and fighting corruption but there is still work to be done before the monitoring of the two countries ends, the Commission concluded in two recent reports. Serbs prefer Germans. Serbian citizens think German companies are the best employers who guarantee a good salary and working conditions, job safety and career opportunities, according to a recent report. No Slovakian spark. While the Commission is pushing to accelerate the deployment of low-emission vehicles, Slovakia – a little-known automotive ‘superpower’ in Europe – continues to drive in the slow lane. Charges raised. Romania’s National Anti-corruption Directorate has charged Liviu Dragnea, leader of the ruling Social Democrat Party, on suspicion of forming a ‘criminal group’ to funnel EU funds. Slovenia’s new old president. Borut Pahor won another four-year mandate despite a strong showing by a relatively unknown challenger in the Slovenian presidential runoff vote. ‘Cold Eastern Winds.’ In an interview with EURACTIV, Ukrainian Vice-Prime Minister Ivanna Klympush-Tsintsadze emphasised the need to improve communications between Kyiv and Brussels. Over a coffee with… Petras Auštrevičius. The Lithuanian Liberal MEP discussed the malignant Russian role in Western politics, what this means for the changing face of European democracy and the rise of Austria’s young leader, Sebastian Kurz.